B.Sc. nursing (Cn), B.A. Sc. (Occupational Therapist) from UWS, M. Sc. Chiropractic from MQ. Lucy has an extensive history in providing high quality health care services. She previously worked in Saudi Arabia and China as a senior registered nurse. Later arriving in Australia, obtained her qualifications and registration as an Occupational Therapist and a Chiropractor. Lucy is passionate about what she does and continuously seeks professional development to allow her to provide best practice Chiropractic techniques. Lucy is also certified as an active release technique (ART) practitioner and certified advanced dry needling and cupping practitioner. She applies those skills to deliver her services in a client-centric way and provides positive outcomes for her clients. Lucy deliveries a client-centred approach in her practice by applying gentle mobilisation, non-manipulative technique for acute clients. Lucy is confident in delivering services by using flexion-distraction to treat clients with chronic lower back pain, disc-herniation and other spinal disorders. Lucy will provide treatment options and develop a treatment plan which best suits her client’s needs. 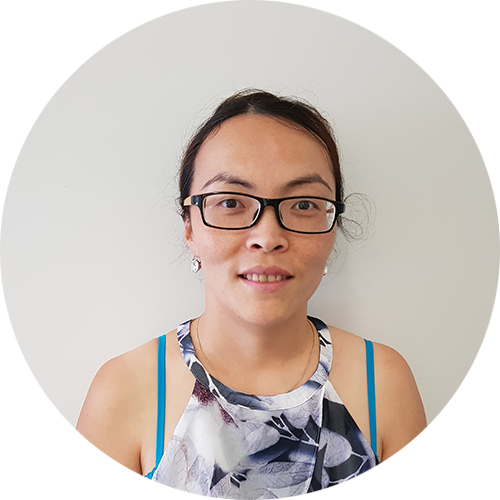 Lucy is also experienced in delivering the following Occupational Therapy services: home modifications, seating and positioning assessment, equipment prescriptions, nursing home consultations, rehabilitation exercise, activities of daily living (ADL’s) assessment, sensory assessment, falls prevention, wheelchair review and customisation.